Vice-Minister of foreign affairs of Timor-Leste H.E. Dr. Constâncio Pinto received Copies of Credentials letters from 5 Ambassadors: H.E. Monsignor Joseph Marino, Ambassador of The Holy See (Apostolic Nunciature), H.E. Eduardo Assmusen, Ambassador Extraordinary and Plenipotentiary of Chile, H.E. Alberto Leopoldo Fajarino, Ambassador Extraordinary and Plenipotentiary of Uruguay, and H.E. Mohammed Bin Khater Ibrahim Al- Khater, Ambassador of Qatar. With the presentation of Credentials letters, the 5 Countries commit themselves to further strengthen the bilateral relation with Timor-Leste. During the meeting H.E. 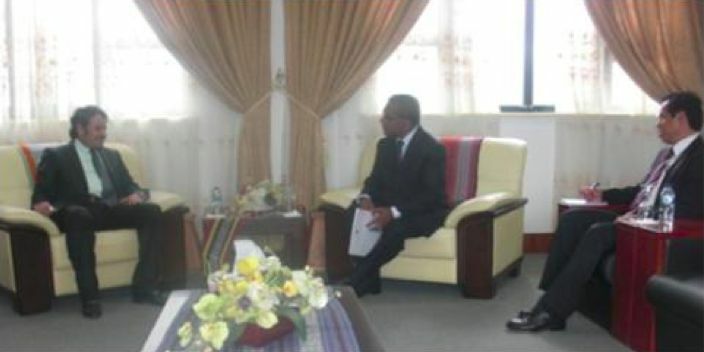 Vice-Minister discussed with the Ambassadors many issues of mutual interest. During the meeting with H.E. Ambassador Monsignor Joseph Marino, Ambassador of The Holy See (Apostolic Nunciature), H.E. 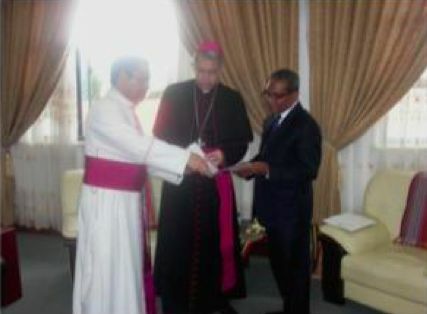 Dr. Constâncio Pinto request the Vatican to establish Embassy in Timor-Leste, and also reiterate the invitation of H.E. President of Republic to the Italy FATHER Pope Francisco I Timor-Leste and if possible in 2015. H.E. Ambassador Monsignor Joseph Marino promised to convey the message to Holy Father. 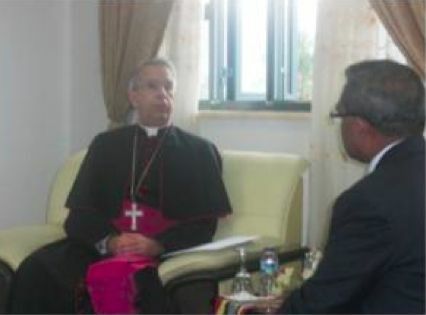 On the other hand Monsignor Joseph Marino, Ambassador of The Holy See (Apostolic Nunciature) hopes Timor-Leste become a star in Asia because the majority of the population of Timor-Leste are Catholic. Ambassador Qatar H.E. 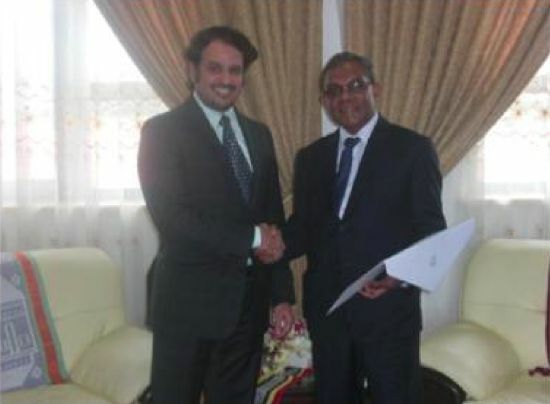 Mohammed Bin Khater Ibrahim Al-Khater, Qatar want to open their Embassy at Timor-Leste and vice versa. Qatar very interest to invest in Timor-Leste particularly in air transport. In this meeting, both the Vice-Minister acting Minister of Foreign Affairs and the Ambassador of Qatar H.E. Mohammed Bin Khater Ibrahim Al-Khater discussed Qatar Investment in Timor-Leste as well as the opening of Qatar Embassy in Dili and Timor-Leste in Doha.